I feel like there's a lot of pressure to say YES. Say yes to your kids more, they're only young once! Say yes to helping with the bakesale-protest-schooldance-candlelightvigil-cleanupday! Yes yes yes! I'd been starting to feel overwhelmed by scheduling and realized I was just spacing out on too many things. I was already trying to scale back when the nor'easter hit and we had 5+ days of no power, school or work (for me). It was slow, and it was nice. I combined my desire to scale back with lessons learned from the power outage to realize there were plenty of good reasons to stand in defense of NO. 2. Power outage lesson: I know I already touched on this in last week's list but it bears repeating: there are no excuses for not getting together with local family more often. We had so much fun visiting, eating dinner with and playing games with family when the power was out. We need cut back the scheduling craziness and do that more. 3. Ah, the scheduling craziness: start saying no to more commitments. Birthday parties for classmates that we don't ever hang with, performances with my theatre troupe (hard for me to do so I'm focusing my energy on a bigger show and exhibit we're doing next month). 5. Balancing the last two with saying no to what is completely unacceptable and responding accordingly. 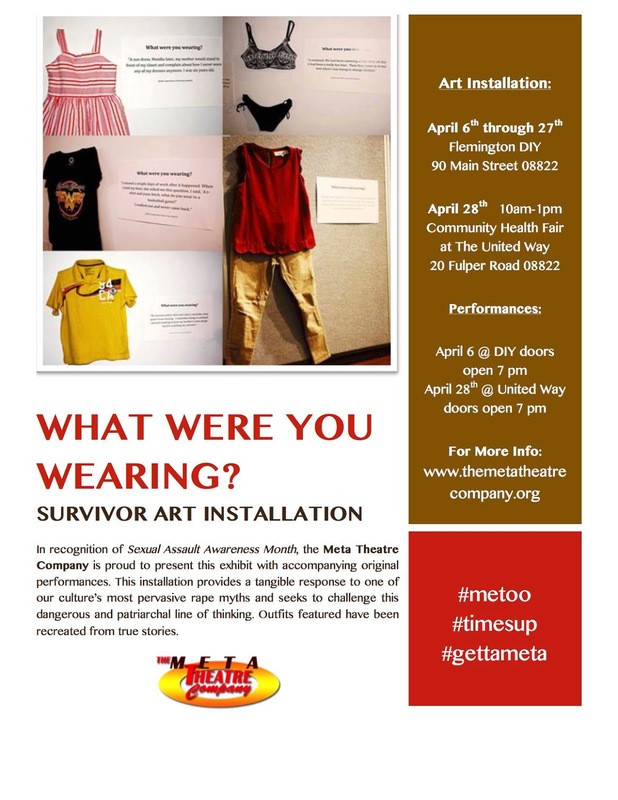 This has really been driven home by that big project I mentioned in #3--we at The Meta Theatre Company are assembling a Survivor Art installation for Sexual Assault Awareness Month. 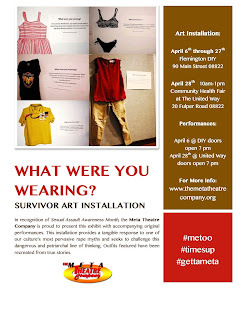 We've gathered stories from survivors of power-based personal violence about what they were wearing at the time of their assaults. When they said "no," they were ignored. So I am saying no to inaction. I am saying no to accepting or ignoring this. I am saying yes to cutting back in other areas in my life so I can create, assemble, advertise for, set up and perform in this show.